I have a confession. 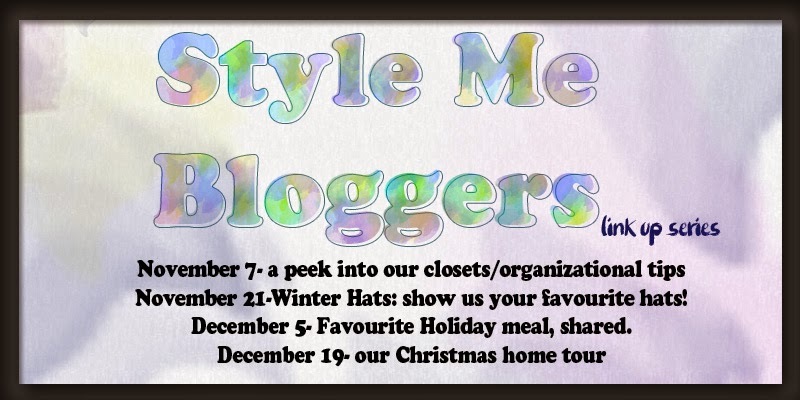 This post is supposed to be a holiday home tour. Well. First of all, my house is a mess right now. Second, we do have holiday decorations up, but for the most part it's cheesy stuff. I was hoping this year to have the time/energy to buy some new, classy-like, decorations and really do our house up nice. And then I realized Christmas is next week. Priorities have shifted to ensuring all the things I need to buy are bought, prezzies are wrapped, food is in the fridge etc etc. We did manage to put up a tree! YAY! It's fake (I argued for a real one and lost) and it's not coordinated by any stretch, but it's ours and mini-me loves it. She loves it so much so, in fact, that she started singing songs to it right after we finished decorating. This is a rather shameful holiday decoration post but I PROMISE some the other ladies will more than make up for my decorating failure. Make sure you check them out, I know I will be making notes because I could clearly use the help!!! My house may not be decorated to the nines and I may not be ready for the holidays that are rapidly arriving BUT it'll still be an amazing, fun-filled holiday in our house! How could it not be with a toddler who is this cute and excited?! We got our tree and decorations up late this year too! Your tree looks great and your daughter is such a cutie pie! Your tree room looks cozy! Your tree is pretty and I love the color on your walls! thanks Anna, love the grey and white too!!! Honestly, it's not about the decorations. It's about that sweet, beautiful girl right there. Christmas is so special with little ones - everything is magical! 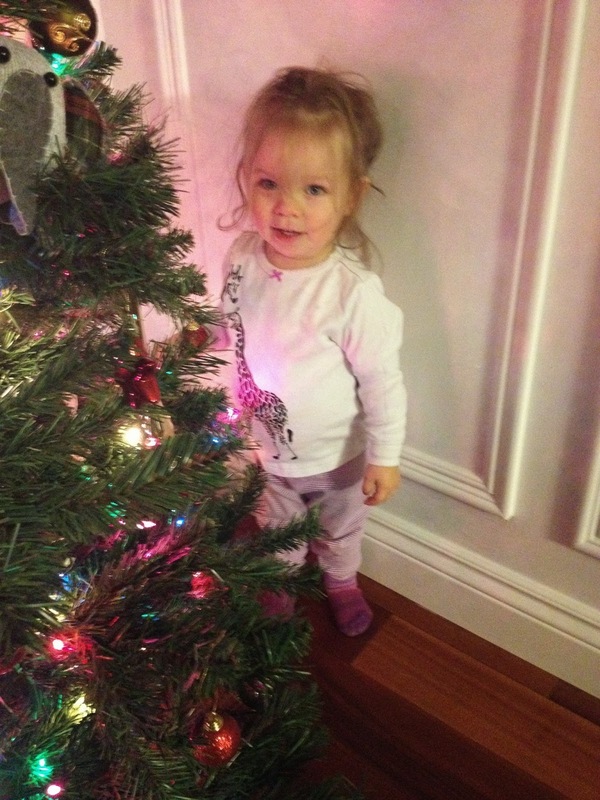 That picture of her sitting in front of the tree - so precious. I swear I'm going to do that today too :) - I love my tree but never take the time to just look at it. Have a wonderful weekend! couldn't be more true Lana! I have felt more behind this year on everything then ever... my hubby said there is one less week in-between Thanksgiving and Christmas this year, so maybe that is why? I did get my house decorated, but it took FOREVER and we had a lot of light issues this year. I STILL need to do my nails with my jams you sent me for Christmas, too! I am making it a priority this weekend. me too! I'm sure your house looks amazing with all your craftiness! Love your tree! As long as you guys love it it's all you need!! Merry! Merry!